We create intentional and authentic Fine Art Wedding Stationary, Branding, and Illustrations for couples and other creatives businesses. We are inspired by nature, delicate textures and subtle hues. We strive to create warm, beautiful and simple designs reflecting the environment, mood and the story of our clients. We love to create with you and cherish every step of the creative process. We offer a range of different paper items, from save-the-date, announcements, reply cards, to illustrated maps, menus, place cards and more. 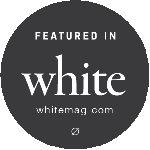 We would love to connect with you and learn more about your project! Please feel free to drop us a note. Please find more inspiration in our gallery section. "If I had to pick one word to describe Maria and her work it would be magical. I discovered Maria's work through social media and was drawn to the delicate beauty of her style. I knew immediately that she could help me not only realize my vision for my wedding, but take it to another level. 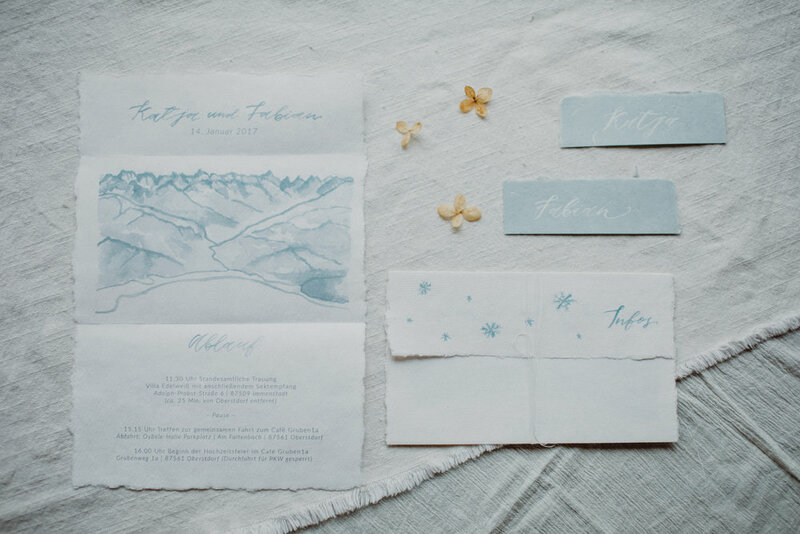 She did all the stationary for my wedding including our custom wedding suite, muslin menus, leaf-shaped wedding programs, table names, and place cards, Maria's delicate, dreamy designs come to life on the beautiful handmade watercolor paper and fabrics that she uses. Her attention to detail makes it seem like she's hand-written, painted, and drawn each and every piece. Talent aside she is also one of the most genuine, thoughtful, and sweetest people I've ever worked with and was relentless in helping me achieve my vision. Whether it was reaching out to several printers to find one that could print on muslin or staying up late at night with me going over font's and spelling, in a foreign language. I'm grateful that Maria worked with me on my wedding and hope to continue to work with her in the future." 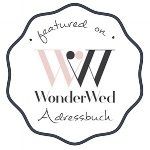 “Beautifully personalized designs by wortpracht! Maria worked with our ideas and brought forward the most beautiful design while always keeping in mind our personal wishes. Her sense for esthetics resulted in estheticly pleasing cards that were a pleasure to both hold and behold. She was very responsive and the final result was stunning and got plenty of admiration by its recipients. "Maria worked tirelessly with us to design wonderful invites for our wedding.The initial idea was city-scapes from our respective home cities, and she developed unique, beautiful images and calligraphy for both front and back, paying minute attention to the fonts, paper, envelopes and colour palette that we wanted. The final invites were perfect and now I am trying to think of other wedding stationary we can order from wortpracht to reuse the theme she designed! Thank you!" “Maria von wort:pracht hat unsere wünderschönen Hochzeitseinladungen entworfen und gestaltet. Dabei ist sie stets auf unsere Wünsche eingegangen und hat unsere Ideen und Vorstellungen weit übertroffen. Maria arbeitet mit einer ansteckenden Liebe zum Detail und Ihre künstleriche Gabe und Kreativität macht sich in allen Punkten bemerkbar. Ihr Repertoire umfasst viele Technicken, vom digitalem Design, Kalligraphie, Siebdruck, Buchbinden bis hin zum Falten selbtgestalteter Umschläge. Wer Lust auf individuelle, kreative und besondere Einladungen von einem liebevollen Menschen hat, ist bei ihr genau richtig."